We introduced a simple scheme of soil freezing in the LMDz3.3 atmospheric general circulation model (AGCM) to examine the potential effects of this parameterization on simulated future boreal climate change. In this multi-layer soil scheme, soil heat capacity and conductivity are dependent on soil water content, and a parameterization of the thermal and hydrological effects of water phase changes is included. The impact of these new features is evaluated against observations. 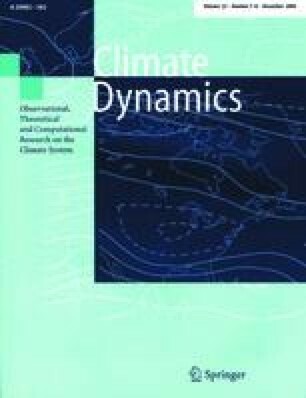 By comparing present-day and 2×CO2 AGCM simulations both with and without the parameterization of soil freezing the role of soil freezing in climate change is analysed. Soil freezing does not have significant global impacts, but regional effects on simulated climate and climate change are important. In present-day conditions, hydrological effects due to freezing lead to dryer summers. In 2×CO2 climate, thermal effects due to freeze/thaw cycles are more pronounced and contribute to enhance the expected future overall winter warming. Impact of soil freezing on climate sensitivity is not uniform: the annual mean warming is amplified in North America (+15%) and Central Siberia (+36%) whereas it is reduced in Eastern Siberia (−23%). Nevertheless, all boreal lands undergo a strong attenuation of the warming during summertime. In agreement with some previous studies, these results indicate once more that soil freezing effects are significant on regional boreal climate. But this study also demonstrates its importance on regional boreal climate change and thus the necessity to include soil freezing in regional climate change predictions. This work was supported by the French Ministère de la Recherche (contracts “ACI Jeunes Chercheurs” No. 3076 and “Coup de Pouce 1999”), by “Programme National d’Etude de la Dynamique du Climat” (contract “IACCCCA”), and by “ECLIPSE”. We sincerely thank Wilhelm May for providing the ECHAM4-GCM SSC. Thanks to Igor Mokhov for his constructive comments. We are grateful to the two anonymous who help to improve this manuscript.